“A comment we frequently receive from meeting planners is that their attendees feel more relaxed in Hawaii and in our beautiful, open building. They are in an environment that inspires networking and collaboration,” according to Teri Orton, the general manager of the centre. The centre is driven by a set of values that reflect a deep respect for all guests. Among these values is aloha, a Hawaiian greeting that represents our mission to extend an unconditional hand of friendship to a stranger. The aloha spirit inspires people to be genuinely caring and respectful, resulting in a hospitable environment that is ideal for cultivating ideas, strengthening existing relationships and building new ones. Guests from around the world feel comfortable doing business at the centre. As well as being a beautiful destination, Hawaii’s medicine, technology, business and science industries are growing, making it a relevant venue for any number of conventions. What’s more, its strategic mid-Pacific location means businesspeople from the Asia-Pacific region and further can attend conferences held there. 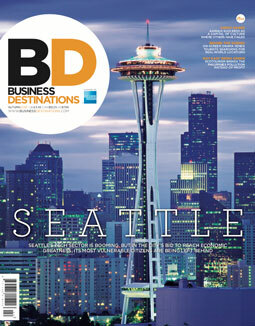 Through its Meet Hawaii programme – a collaboration between the Hawaii Tourism Authority, the Hawaii Visitors and Convention Bureau and the Hawaii Convention Centre – the centre is working to reinforce Hawaii’s reputation as a world-class destination for business meetings. The Elele Programme is part of Meet Hawaii’s efforts. The programme enlists the support of community leaders who have ties to professional organisations both on the island and internationally. These volunteers offer local insight and personal relationships that help the Meet Hawaii team craft thoughtful events and reach key decision-makers throughout the Pacific Rim. In 2017, after investing $1.1m, the centre unveiled its new athletic courts, including 28 volleyball, 18 basketball and 11 futsal courts, which have attracted large sporting tournaments to Hawaii. This includes the 2018 Pacific Rim Futsal Cup that took place in November and December. More than 40 teams participated across five specially assembled courts in one of the centre’s three spacious exhibition halls. Over the past year, the centre has launched a variety of initiatives to augment the guest experience and continue to provide excellent amenities and services. This includes the addition of an accessible business centre on the venue’s third floor that hosts a comprehensive array of business services, including copiers, printers, computers, office tools and desk space. Two complimentary charging stations offering secure charging lockers are located at key points in the building and light-use Wi-Fi is available in all public spaces. As well as providing practical facilities, the centre also has its visitors’ comfort in mind. The 1801 Café and Bar offers a large selection of high-quality, freshly made snacks, lunch items, beverages, local treats and gift items. And when guests need a moment to relax, they can make their way to one of the centre’s 12 massage chairs. With so many amenities available to its visitors, the Hawaii Convention Centre has created an online interactive map and 3D floor plans to ensure that every visitor to the site can make full use of its extensive facilities. To celebrate its two decades in operation, the centre is strengthening its connection to Hawaii’s environment with a groundbreaking new conservation programme. The centre launched its Ho‘omaluō Programme in October 2018 (the word ho‘omaluō meaning to conserve, use or manage wisely in the Hawaiian language) in conjunction with the American Dental Association’s (ADA) annual meeting, which drew more than 16,000 registrants from nearly 50 countries. In 2018, the ADA meeting, as well as other major conventions, paid real attention to environmental concerns, responsible food and beverage options, energy-efficient meeting spaces and new recycling initiatives. 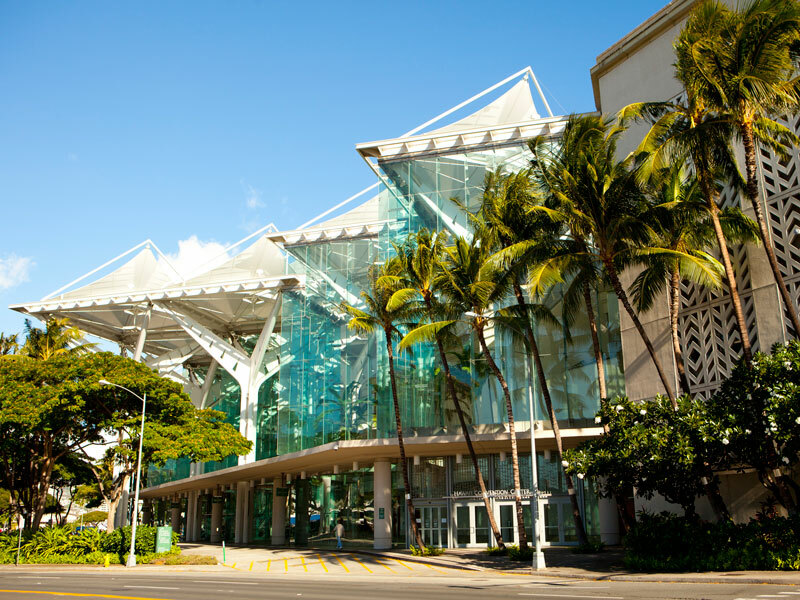 For its conservation efforts, the Hawaii Convention Centre has received Gold certification in operations and management from Leadership in Energy and Environmental Design (LEED) – the certification is officially titled v4 O+M. The centre is the first and only public assembly convention centre to earn a Gold v4 O+M LEED certification in the US and is the only Gold v4 O+M LEED project in Hawaii. This certification places the centre among a select group of buildings that have completed an extensive review of their sustainability and conservation practices. Through the Ho‘omaluō Programme, the centre works to conserve and reuse its resources, maintain a high quality of operations and pay careful attention to reducing waste at every stage of the event process. The centre incorporates guest education and participation through the Hawaiian Legacy Reforestation Initiative, which supports the reforestation of trees that are endemic to Hawaii. In 2018, the ADA committed to reforesting 100 native trees.